There has been a shift in male pampering culture during the last decade: men spent more cash on male-specific toiletries than on shaving products. It’s about self-confidence as much as anything else, and the desire to feel more attractive, more successful and (increasingly) more youthful. 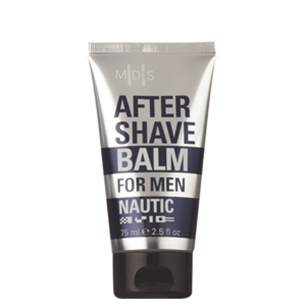 NAUTIC for man has a trendy design of nautical elements with a stylish and timeless graphic in colours that are well-suited for aquatic and effective male grooming. An overall image of freedom and aquatic adventure that men can identify themselves with, which is expressed in fragrance of the products as well. Glacier water is unique compared to regular water from other sources. Glacier water comes from ancient snowfall that has compacted into extremely dense ice (glaciated) frozen in time and protected from negative influences occurring underground and above. When melted under the right conditions: this results in water that is rich in moisturising and energising minerals. 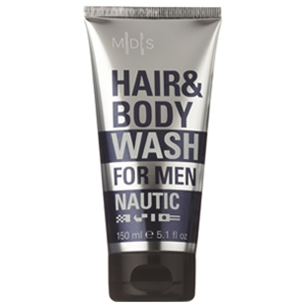 A trendy design of nautical elements with a stylish and timeless graphic in colours that are well-suited for aquatic and effective male grooming. All items are offered in metallic-look squeezable tubes with classy black flip-top caps: easy to use and handy for on-the-go. All products contain glacier water. Mildly but effectively cleanses both hair and body. Refreshes without drying out. With hair caring components. The gel is turned into a foam that effectively cleanses your skin and hair.The added glycerine helps to moisturise both the skin and hair. The ingredients coco glucoside and glyceryl oleate are naturally derived from 100% natural renewable sources. They soften and moisturise skin and hair and help condition the skin. The hair conditioning component guar supports the hair caring properties while it is being cleansed. Guar is a natural derived multi-functional polymer with excellent conditioning benefits for damaged hair. Contains glacier water which is known for being naturally rich in moisturising and energising minerals. Cleanses thoroughly and removes dead skin cells with respect for the skin. A formula with mild cleansing agents that effectively remove impurities, respecting the moisture balance of the delicate facial skin. 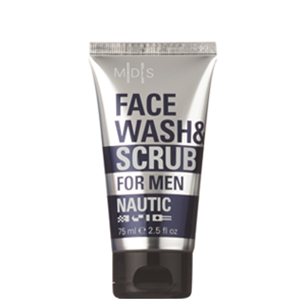 Contains fine scrub particles that gently remove dead skin cells to reveal a smooth skin with improved appearance. The added complex of glycerine, pro vitamin B5 and betaine helps the skin in staying soft and moisturised. 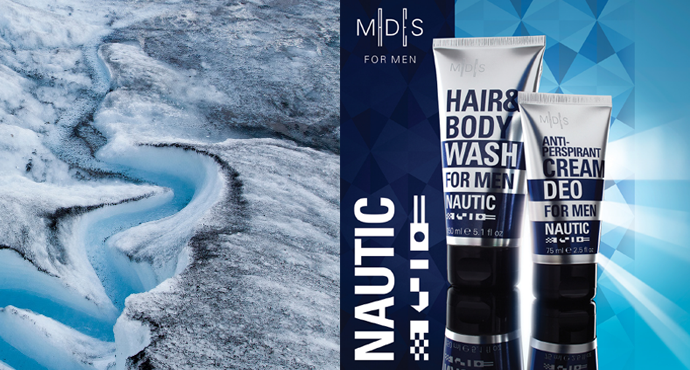 Contains glacier water which is known for being naturally rich in moisturising and energising minerals. Restores and moisturises the skin. A non-greasy moisturising formulation that brings back balance to the skin while soothing the skin.Shaving makes the delicate facial skin dry and can damage the skin. The skin-beneficial ingredients allantoin, aloe vera juice and pro vitamin B5 help recover the skin after shaving. Corn starch absorbs and binds skin moisture, which helps the skin to stay fresh and moisturised. The incorporated silicone blend gives a very soft after-feel.